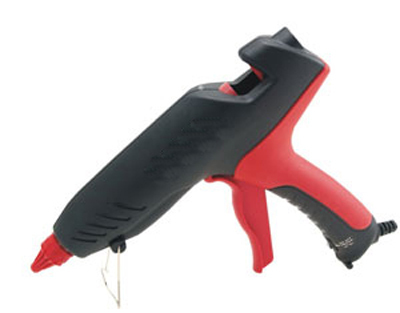 CSS Glue Gun #100: Our CSS 100 high temperature medium duty industrial glue gun has 100 watts of heating power and is a great value for the money. Standard Glue Sticks: Our hot melt glue sticks are translucent white to clear in color. They are comprised of ethylene vinyl acetate (65%), and hydrocarbon resin (30%).